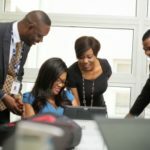 Access Bank Plc Ongoing Job Recruitment, The Vacancies are Access Bank Career Fair (2018) and the Locations of the Jobs are United States and Dubai, United Arab Emirates. The Opportunities are for Graduates and Undergraduates and Applicants who are Graduates must have a minimum of Second Class Upper degree in any discipline – Transcript indicating CGPA required. How to Apply for a Job at Access Bank Plc, Interested and Qualified Candidates Should Click on the Application Links Below to Start.